On November 23rd, 2011 I stood on the summit of Mt. Vinson in Antarctica and became the 15th Canadian to have climbed the seven summits—the highest peak on each of the seven continents. It all started in 1999 with my ascent of Aconcagua in Argentina. At this point I did not really have a plan to climb the seven summits, but was more focused on training to climb Mt. Everest. 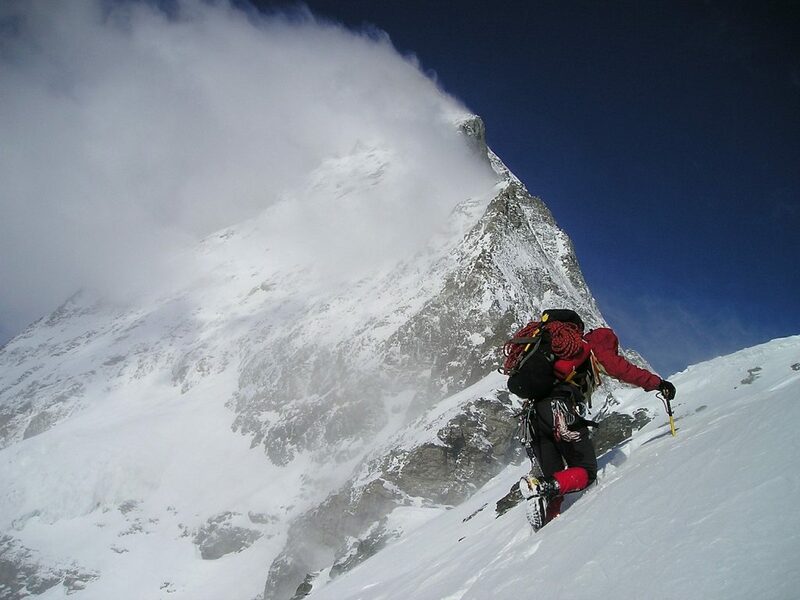 Through my training I climbed several more of the seven summits and, once I made it to the top of Everest in 2008, it seemed kind of silly not to keep going and finish them off. While I would not put myself in the Olympic athlete category, climbing the seven summits is, if I may say so, a pretty fantastic achievement. Fewer than 300 people worldwide have stood on the top of these same mountains. Obviously, fitness is key but once this “entry ticket” has been paid there are other factors that will ultimately determine one’s success. Without goal setting, personal drive, sacrifice, emotional intelligence, teamwork and leadership none of this would be possible. I was speaking with one of the owners of Antarctic Logistics and Expeditions (the company that provides the logistics for Vinson climbs and South Pole expeditions) and he was talking about the countless people who have failed to achieve their Antarctic goals. Sometimes it is lack of fitness or injury that stops an individual, but more often than not it is a breakdown of leadership, teamwork or personal motivation. The hardships endured on these extended expeditions are tremendous and it is difficult for most people to handle the pressure. This is where teamwork, leadership and personal strength come into play. Without these factors, success will not be possible. I will need to think about what climbing the seven summits has meant to me and what I have taken from this experience, but my initial thoughts fall to how rich this experience has been in so many ways. I have traveled to far-flung and amazing places—parts of the planet that most people will never see. I have met great friends and many extremely interesting people. I have pushed myself to the breaking point and returned unscathed. I have learned so much about myself and human dynamics that I could write a book; I am actually writing a book that is 80% complete and should be out soon! The expedition world is such a rich environment to learn about group dynamics, team development, team work, change management, conflict management, goal setting, leadership, motivation and so many other things that play an immensely important part in our personal and professional lives. I am a corporate leadership and team trainer by profession and these experiences have allowed me and my team to create very successful training programs for large and small corporations. I believe our programs are much richer from my experiences. My EMBA students have told me how much this approach to training has helped them to become better leaders and team members. As a keynote speaker I am blessed to be able to tell my stories to others and to share my learnings and insights with them. I was recently told that my combination of storytelling (making it interesting) and workshop application (making it real) was by far the best that they had ever experienced. So what is my next challenge? I am not totally sure at this point. The North and South Poles have always been of interest to me and to complete the Adventure Grand Slam (the seven summits plus the North and South Pole) would be an amazing feat. I have also recently had a calling to kite ski across Greenland, so maybe I will learn to kite this winter. There are countless Himalayan peaks I would love to climb and other mountains and adventures all around the world. Sailing around the world has always excited me and terrified me at the same time; a good friend, who is a sailor, has often suggested we give that a try. For the next few months, however, I think I will just enjoy being home with my family and soaking up the Ontario alpine ski season. I am truly thankful for all that I have. 3. Antarctic trial: Summiting Mt. Vinson!